Domestic violence (DV) impacts women’s mental health. DV survivors need access to services that can effectively assure safety and healing. DV service providers are positioned to provide accommodations for survivors who are experiencing mental health disability in order for survivors to fully engage with and benefit from DV-related services. Using qualitative methods, 11 focus groups were conducted with staff (n = 45) and administrators (n = 17) from five DV advocacy agencies and shelters in a Midwest state of the US to assess service providers’ needs related to working with survivors with mental health disability. Participants shared their personal experiences and challenges of working with survivors who have mental health disability. Findings point to the need to further build capacity within agencies to respond to the complex mental health needs of survivors. These findings also indicate the need for DV agencies to effectively implement integrated trauma informed care models that promote healing when working with DV survivors who have mental health disability. This study was funded by NIJ grant OVC 2016-XV-GX-K012. Centers for Disease Control and Prevention. (2012). Promoting respectful, nonviolent intimate partner relationships through individual, community and societal change: Strategic direction or intimate partner violence prevention. Atlanta, GA. Retrieved June 20, 2015 from https://www.cdc.gov/violenceprevention/pdf/IPV_Strategic_Direction_Full-Doc-a.pdf. Lyon, E., Lane, S., & Menard, A. (2008). Meeting survivors needs. 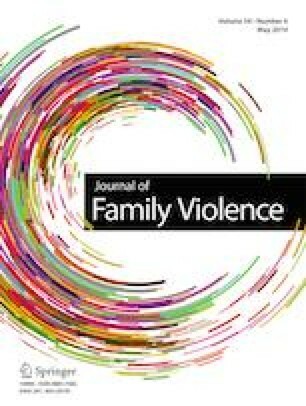 A multi-state study of domestic violence shelters expriences. Final report prepared for the U.S. National Institute of Justice. Harrisburg, PA: National Resource Center on Domestic Violence. Retrieved January 10, 2018 from http://www.vawnet.org/research/MeetingSurvivorsNeeds/. Peled, E., Eisikovits, Z., Enosh, G., & Winstok, Z. (2000). Choice and empowerment for battered women who stay: Toward a constructivist model. Social Work, 45(1), 9–25 Retrieved January 20, 2014 from http://www.ncbi.nlm.nih.gov/pubmed/10634083. Van Deinse, T. B., Wilson, A. B., Macy, R. J., & Cuddeback, G. S. (2018). Intimate partner violence and women with severe mental illnesses: Needs and challenges from the perspectives of behavioral health and domestic violence service providers. The Journal of Behavioral Health Services & Research, 1–11. Advance online publication. https://doi.org/10.1007/s11414-018-9624-9. Warshaw, C., Sullivan, C. M., & Rivera, E. A. (2013). A systematic review of trauma-focused interventions for domestic violence survivors: National Center on Domestic Violence, Trauma & Mental Health. Retrieved December 10, 2016 from http://www.nationalcenterdvtraumamh.org/wp. World Health Organization (WHO). (2016). Media center: Violence against women. Retrieved May 10, 2017 from http://www.who.int/mediacentre/factsheets/fs239/en/.